The old real estate adage says three things matter when buying a house: Location, location, location. We think the same is true when planning a wedding. Our business here at Gulf Beach Weddings is pretty simple. We pick the best beaches in the world and help couples have the time of their lives. Frankly, the beach makes our job easy. By only operating at top-rated locales, our couples are guaranteed sugar sand, crystal clear water and breathtaking sunsets. 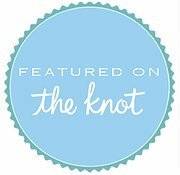 And we are thrilled to be adding another option for brides and grooms-to-be: Gulf Beach Weddings is expanding north to offer wedding packages on Florida’s Emerald Coast! These beaches along Florida’s Panhandle and Alabama’s Gulf State Park are where southern charm meets coastal beauty. Think Spanish Moss, old oak trees and fried chicken and grits, combine that with dazzling sunsets and soft sand beaches, and you have the Emerald Coast. And, when you are looking at our options, you will now be choosing from beaches that are always at the top of the rankings done by industry experts and travelers. On Coastal Living’s rankings of best beaches, our locations take up four of the top five spots, five of the top seven and six of the top 17. On Traveler’s Choice we have three of the top five and five of the top 10. These lists aren’t some arbitrary ranking cooked up by a PR firm — they are based on visitor ratings. Travelers agree that Florida’s Gulf Coast ranks right up there with the top beaches in the world, and our expansion northward means you have even more choices. We have to admit when we look at these rankings that we sometimes feel a little spoiled. The sand, the sunsets and the crystal clear water that we see everyday, along with happy couples saying their vows in some of the most beautiful spots in the world — we need to pause and remember how lucky we are to be where we are. But feeling spoiled from time to time isn’t so bad. And if you are planning a wedding, we’d like for you to feel spoiled too. Check out our new locations along the Emerald Coast here.